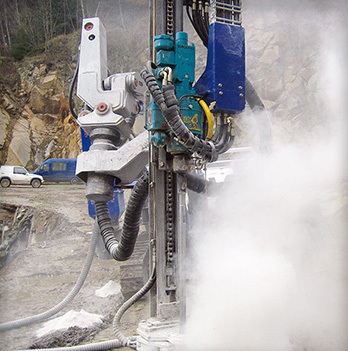 Hammer & Steel sells, rents, and services tieback, also known as micropile, drill rigs. 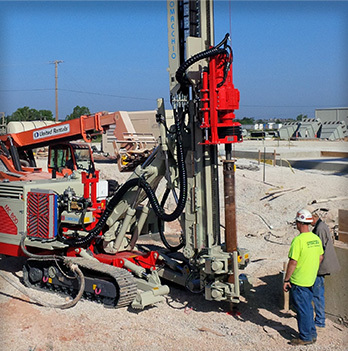 The drilling rig equipment is used for a wide range of drilling applications including anchor drilling, micropiles, soil nailing, and jet grouting. In 1986 driven by a strong passion and by the determination to transform ideas into tangible reality, Comacchio took on the challenge that would bring them to hold a prominent position, worldwide, in the drilling rig market. Interoc Anchor Drilling Rigs are suitable for a wide range of drilling applications including anchor drilling, micropiles, and jet grouting. 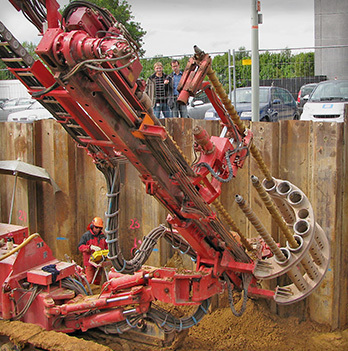 Eurodrill specializes in designing and producing hydraulic drifters and rotary heads for use in the installation of anchors/tiebacks, soil nailing, and installation of micropiles.